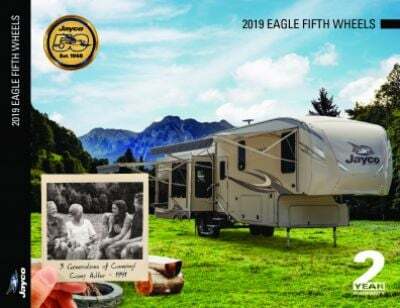 Stop by Gillettes Interstate RV to bring home the 2020 Jayco Eagle 321RSTS! This 5th Wheel is reliable and ready for the long haul! You can find it on our lot at 7210 E Saginaw St East Lansing Michigan 48823. If you don't live near our East Lansing RV dealership lot, we can bring this model to you with our 24/7 nationwide delivery service! Give us a call at 517-339-8271 to start your road to RV adventures today! There are no limitations to where in the country you go with this RV, as it has a manageable hitch weight of 2065 lbs. and a GVWR of 12700 lbs. There is an easy-pull out 16' 0" awning, so you can lounge and play in the shade and avoid getting a nasty sunburn! Eating fast food all the time when you're on the road can get expensive, and after a while, it can get old too! That's no problem when you go camping in the Jayco Eagle 321RSTS with the kitchen area it boasts! You can cook up delicious hot meals on the modern 3 burner range cooktop and you'll store all your favorite meats, veggies, fruits, and juices in the 8.00 cu. ft. refrigerator! With the 75 gallon freshwater tank, you'll never run out of the water to clean, drink, and cook with! 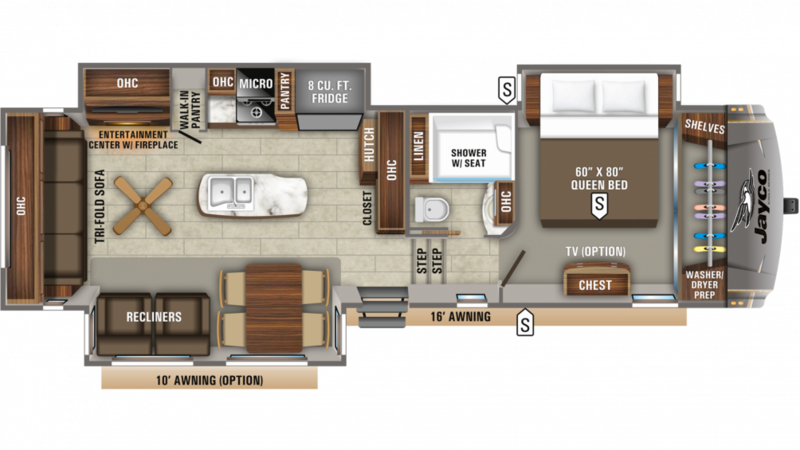 The Jayco Eagle 321RSTS has so many wonderful, modern features and one of the nicest is the beautiful full bathroom with a shower and a sleek Porcelain Foot Flush toilet! You'll never have to make that onerous trek through the cold and rain to the damp, chilly, messy campground community bathroom again! Used water and waste are stored and hidden in the 100 gallon gray water tank and the 50 gallon black water tank.